Welcome to the heart rate training diary, our current regular where we boldly place our running training into the hands of the flashing green lights on the back of our wearable devices. We've been working with Fitbit ambassador Greg Whyte, who's built us a bulletproof plan to running faster and longer, as we train for a pair of half marathons. It's now week 7 of the training schedule, and I'm not going to lie – it's been a tough week. Last week we finished on a high, smashing our 45 min LT run record and then nailing a fantastic 11 miler two days later – but it took its toll on this week's performance. It took my legs three days to recover from the long run, which meant that I was in Berlin working at IFA 2016. I managed a hot 45 min at marathon pace (LT) and followed it up with 60 mins (including 20 mins at AT2) when I returned. That run was particularly satisfying, holding a pace of 7:59 with a heart rate averaging 172. Finally, we capped the week off with an interval session, successfully hitting max heart rate (MHR) on my three minute intervals. A successful week, given the business, although I did miss a long run scheduled by Greg, which will need to be made up next week. With little to really get excited about this week, I thought for this diary it might be nice to talk about accuracy of the devices I've been using. The fact is that optical heart rate monitors get a bad rap. But what's the reality? I've tested a host of devices throughout the process and found some interesting results. Firstly, in standard runs, all the optical heart rate devices handled bpms almost to perfection against a chest strap. 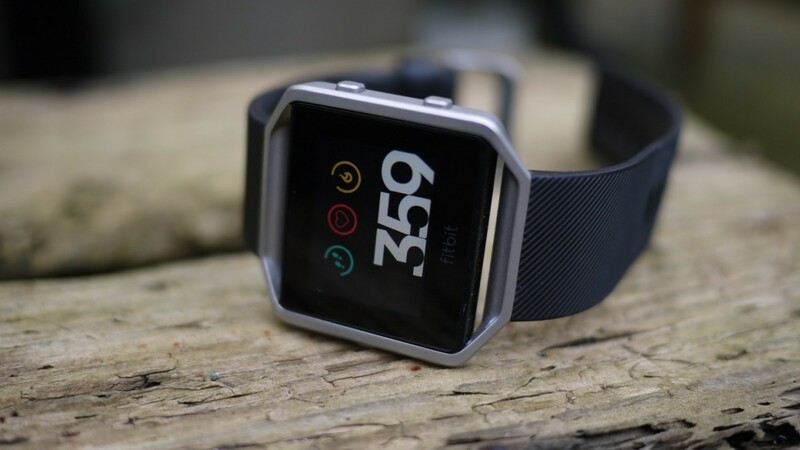 We put the Fitbit Blaze, TomTom Spark and Jabra Sport Pulse up against a Fenix 3 with Garmin chest strap throughout the course of our seven weeks of training, with multiple runs to iron out the anomalies. First, Fitbit Blaze. We all know that Fitbit's been facing the brunt of optical HR criticism lately, but that's not been borne out in our testing. We've strapped up with the Blaze and found it to be someway off a chest strap in terms of accuracy. The main issue is that it's slow. It's been capable on most of our training runs, taking a while to get up to speed before locking into the chest strap fairly easily, which is fine for long runs. However, that lag does affect average HR over short to mid-size runs and during intervals. Take a look at the heart rate below, and you'll see how the Fitbit (top) struggles to keep up with the increasing heart rate. However, the average for the interval was only 2bpm short of the chest strap. Fitbit isn't the only company to suffer this, and we've had similar issues with Garmin's tech, which can take five or more minutes (a mile of a run) to get up to speed. Onto TomTom Spark, which we lauded in our original review for being particularly strong when it comes to heart rate. Naturally, it had to be benchmarked here too. Well, the testing for this diary has only increased it in our estimations. There's been a number of occasions during the diary where I felt that TomTom's accuracy must be out – then retested against a chest strap found it to be insanely accurate. Even during interval sessions, it was still a match for a chest strap, only 3bpm off over 15 bursts, making it too close to call a definitive winner. You can notice some distortion and lag at the highest heart rates. Finally, the Jabra Sport Pulse which also matched up to a chest strap impressively, although perhaps gets marked down for usability given the audio readouts only occur every mile, making it harder to sit on that heart rate steadily. I'd love to show you a neat graph, but the Jabra app doesn't produce one, so take my word for it, it was 1bpm out. Impressive stuff. It's interesting results – and there's one last thought. I really dislike running with the chest strap and find it really restrictive. While I want data to be as accurate as possible, every device has offered me usable in-run data without running encumbered – and that counts for a lot. Next week I'll be gearing up for my first race. Join me then.